It’s easy to share with the OTG (On-the-Go) USB flash drives even on mobile devices. Even though it’s hard to imagine how the USB flash drive fits into a mobile device, the micro USB plug on the OTG USB flash drive offers a very simple explanation. In addition to the standard USB plug on one end, the micro USB plug fits into most mobile devices such as tablets and smart phones. 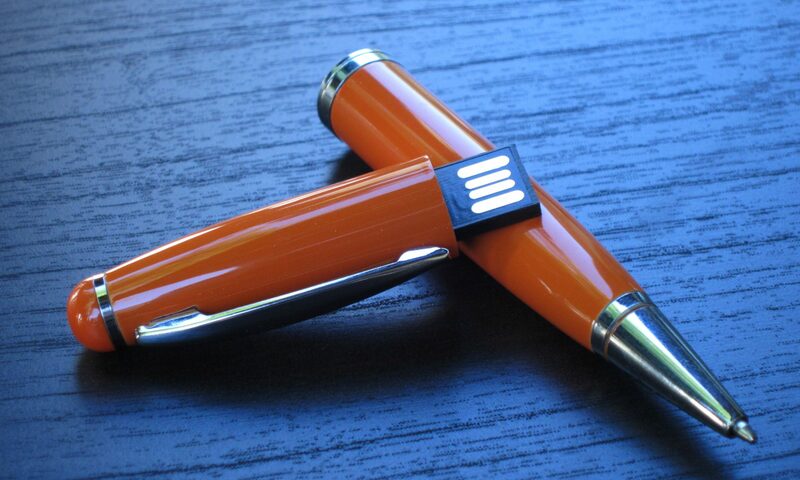 Our first OTG device – the Mobile 360 OTG USB flash drive is pictured below. The cap that protects the micro USB plug has been removed and not visible on the photograph. One may ask a question, Why do I need to monkey around with a flash drive when I can easily share any info I want on the Cloud? Well… in order to share the data; one would need to get contact information of a person you would like to share it with. It’s not easy having to spell long email addresses only to misspell them again; just to share a presentation or a few documents. Finally, once the information is shared, the only thing that the client is left with is your shared link and not anything tangible in the client’s hand. 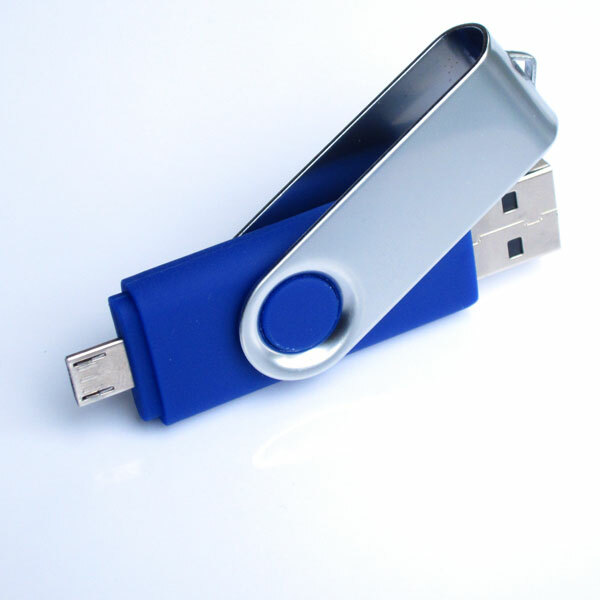 Give your client a presentation loaded OTG USB flash drive that’s branded with your company’s identify. The client can simply plug it into a mobile device or a computer to view your company’s information or store their own data. In any way, it’s much more personal and easy method to share with a client. Most modern mobile phones and tablets support the OTG protocol, but not all. For example, Apple iPads or iPhones do not support the OTG protocol and thus will not be able to work even with an adapter. The OTG technology is not new; however more devices support the protocol to enable sharing of data or expanding of the mobile capacity easier.